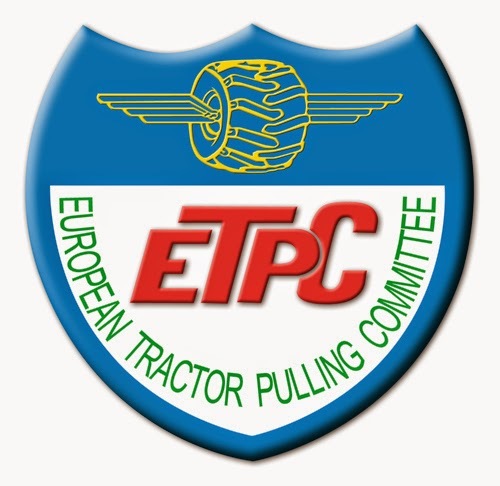 The 2018 ETPC Euro Cup sponsored by Mitas Tyres went over 8 rounds in 7 different European countries from the end of April to the end of August this year. Today we are looking shortly back what happened in those 5 different Euro Cup classes during the season. the final round in front of Hella Lambada 9 and Lucky Ducky. But, it wasn't the day for the Norwegians. The Sassy Racing engine kicked a rod out in the Pull Off and their championship dreams were gone. The Dingerink´s could benefit from Bower Power's broken engine and won the final round of the season. 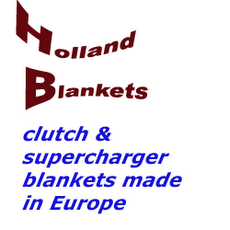 In the end, Hella Lambada 9 from the Netherlands won the Euro Cup, 5 points ahead of Blower Power from Norway and another 12 points ahead of Lucky Ducky also from the Netherlands. The 2.5t / 5500lbs Light Modified class had 6 rounds and it was another dominating season of the Screamin' Bobcat Team from the Netherlands. The drivers Jordi Riezebos and Berrie Boer won with the Hemi powered Mod called ,,Wicked Screamer" 4 of the 6 Euro Cup rounds this year. The final Euro Cup round in Great Eccleston, England was canceled due to inclement weather on Sunday. They also profit a little bit by the mistakes of their title rivals. Maybe one of his biggest rivals would have been the twin Allison called ,,Green Monster 5 Mitas Edition" from Füchtorf, in Germany. The Germans won the Euro Cup round in Putten (NL), but 2 poor results during the season in Bernay (F) and Brande (DK) cost them the chance on the title. For the 2nd full season, they finished 3 in the point standings with 107 points, only a single point behind the runner up. Surprisingly the runner up place went to Mads Hansen and his Iveco V8 alky Burner powered machine called ,,Elkaer Metal Boy". The Dane had a very consistent season with 2x 3rd places and 3 Top 6 finishes. 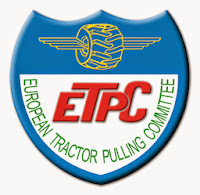 It was the best Euro Cup season so far for the Hvilsom Pulling Team from Hobro, in Denmark. brothers from Raalte in the Netherlands with their John Deere 7920 called ,,Kawe Runaway Deer'" secured the runner up position in the Mitas Euro Cup. Maybe they had a chance to win the biggest trophy this season, but technical issues and only a 11th place in Putten cost the brothers all chances. 3rd place went to Denmark, to the Euro Cup champion of 2013, 2015 and 2016 ,,John Deere 2" driven by Rasmus Hoyen and Michael Galsgaard. The John Deere Team won the Euro Cup in Brande but couldn´t keep up with the pace of the other two Dutch rivals during the rest of the season. The 2017 Euro Cup winner ,,Extreme Temptation´´, from the Netherlands finished 4th this year. The most exciting class of the season was the 3.5t / 7700lbs. Super Stock class. The Super Stocks had only 4 rounds this year, but we had 4 different round winners. The Euro Cup title was decided at the final Euro Cup round for the Super Stocks in Brande (DK) and the biggest surprise was, the 2018 Champion in this division won no single Euro Cup Pull in 2018.
rivals. The finals in Brande (DK) was a real drama. With a win in Bernay (F), the reigning Euro Cup Champ Rob van der Waal from Hoeven, in the Netherlands with ,,Maximum Risk" went as leader to the finals. But it was a bad weekend for the dutchman. He blew up his engine under the hood of the Case IH 335 Magnum in the qualifying run and finished only on 10th. With this bad result, he dropped down from 1st to 6th in the standings. Not better was the weekend for ,,You Never Know´´ with driver Seven Klingsheim (winner in Made (NL)) from Norway and ,,Interaction 2.0´´ (winner in Lidköping (S)) with Manon Kools from the Netherlands. Both had technical problems and finished far down the leaderboard. The runner up place with 3 points behind the champ went to Zapo with Bennie Harmelink and Theo Broekhuis. A great farewell for the dutch Team from Bathmen, in their last and final pulling season. Henrik Svenningsen from Denmark could won the Super Stock final round with his Massey Ferguson 8737 called ,,Rabbit G´n Wild" and moved up to 3rd in the points. In the 4.2t / 9260lbs Heavy Modified class, the fight between the triple Allison Tractor ,,Green Fighter´´ from Germany and ,,Fenrir´´ from Denmark also continued in 2018. With an early win at the season opener in Füchtorf (D), everybody thought Fenrir has the best cards to defend his title in 2018. But after Füchtorf (D) the sheet turned. With 2 back to back wins in Bernay (F) and Made (NL), Enrico Vollerthun on the triple Allison V12 powered Tractor called ,,Green Fighter" took over the lead of ,,Fenrir´´ with Soren Jacobsen after 3 rounds. It looked like, as if Soren would have had problems to bring his power on the ground. With those problems he lost valuable points during the seasons, which maybe cost him the title in the end. After the victory in Brande, the Fenrir Team also was hunted by the Dingerinks with ,,Intertechno Lambada´´ from Zwolle in the Netherlands. At the grand final in Great Eccleston, 3 Tractors had chance to fight for the title, namely Green Fighter, Fenrir and Intertechno Lambada. The last contender had a expensive weekend in England. In the finals in one of the 4 BAE V8 Hemi engines on ,,Intertechno Lambada´´ broke the crankshaft and he was out in the fight for the crown, but safe in 3rd on the point standings. Soren Jacobsen with ,,Fenrir´´ made a nice pass but he couldn't beat again the distance of ,,Green Fighter´´ with Enrico Vollerthun in the hot seat. It was the 3rd victory of the season and a well deserved Euro Cup title for the Green Monster Team from Füchtorf in Germany who ran very consistance on the new Mitas Power Pull tires in the Heavy Mod class this season. That was the short Mitas Euro Cup recap of 2018. Hopefully 2019 will be such another interesting battle for the Euro Cup title as in 2018 ! The new Bad Boys Toy is ready ! Wild Toy Team stops !